There's a clever fold up part to ensure those first foodie moments are a little less messy for everyone! 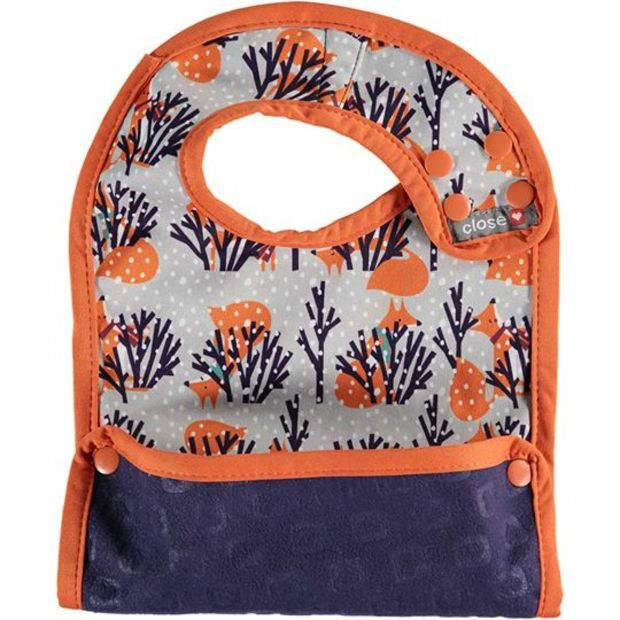 The patterned side will repel stains and is wipeable, whilst the soft fleecy side will keep your little dribbler happy and dry. 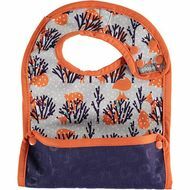 Available in the same prints to co-ordinate with the nappies, the Pop-in bibs come in 2 sizes, stage 1 (newborn+) and stage 2 (6+ months), they fasten at the side with poppers to make it easy to put on your little one.